A BATTLE OF WILLS New Orleans aristocrat Lucian Beaumont wants only to sell his estranged grandfather's property and escape the backwoods of Gatlinburg, Tennessee. But a stipulation in the will brings him head to head with a local beauty. Megan O'Malley and the town must have access to the house. For the first time in his life the commanding Lucian finds himself at an impasse. 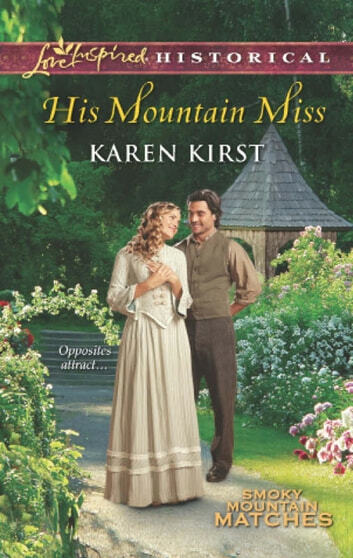 Clearly the worldly gentleman doesn't fit in Megan's quaint Smoky Mountain town. But as she glimpses the man beneath the hardened veneer, she believes Lucian is here for a purpose. To heal his soul. And maybe, with Megan's help, to heal his heart. Smoky Mountain Matches: Dreams of home and family come true in the Smoky Mountains.